If you like this volume, try: Superman: Secret Identity, which has been collected in multiple formats. 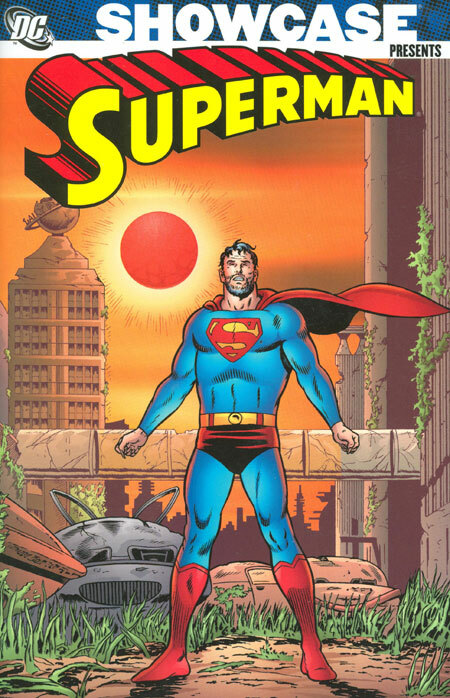 Written by Kurt Busiek with art by Stuart Immonen, this four-issue series follows the life of a young man from Kansas, Clark Kent, growing up in a world where the only super-heroes exist in comic books. And yes, he happens to share the name of everyone’s favorite comic book character; his parents thought it would be funny. So all of his life, Clark has to endure every Superman joke ever told. Each year on his birthday, he receives numerous gifts all emblazoned with the Superman logo. Clark just wants to lead a normal, quiet life. Until one day when Clark actually starts developing powers. He finds that he can fly and that he is now super-strong. Realizing that this may be destiny calling, Clark dons a Superman uniform and becomes the hero that everyone always expected he would be. This is hands-down one of my all-time favorite Superman stories, and it should be part of every collection. Kurt Busiek has proven multiple times that he is a master storyteller, whether it be his own characters in Astro City, or managing the corporate characters from Marvels to Avengers to Superman: Secret Identity. Please pick up this book – you’ll thank me later! This entry was posted in DC Showcase Presents, Superman and tagged Al Pastino, Curt Swan, Edmond Hamilton, George Klein, Jerry Siegel, Leo Dorfman, Superman. Bookmark the permalink. Pingback: Throwback Thursday – Showcase Presents Superman Vol. 4 – WORST. COMIC. PODCAST. EVER!